This reimagining of the World Wide Fund for Nature logo puts the spotlight on a different animal. 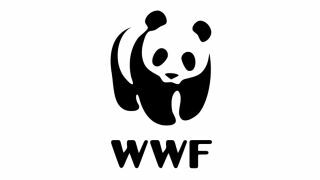 Since 1961, international wilderness preservation organisation WWF has been recognised by an iconic logo design based on Chi Chi - a Giant Panda from London Zoo. However times move on and agency Grey London argue that after 50 years it's time to refresh the logo in order to make sure WWF stays relevant. Considering that the Giant Panda has been removed from the endangered species list and downgraded to 'vulnerable', it makes sense that a different animal represents the WWF brand. Grey London opted for the polar bear, as this animal sums up the biggest threat to modern wildlife - climate change. With its habitat melting beneath its feet, the polar bear has become the unwitting poster boy for the destructive consequences of climate change. To symbolise this issue, Grey London's logo transforms from the panda to the polar bear, before appropriately dissolving away. Watch it in action below. Wiktor Skoog, Strategic Design Director at the agency, says “The WWF ‘panda’ logo is one of history’s iconic designs. But with panda numbers recovering and wildlife as a whole under an unprecedented threat, we feel this redesign — as close as stylistically possible to the original — can encourage conversation around climate change and symbolise not just one species, but all of them. It’s something that Matteo [Alabiso, designer] has captured beautifully.